Raw walleye pollock: In this food there are some nutrients that are found in low quantity, for example total lipid, carbohydrate and total dietary fiber. Raw florida pompano: High in selenium, thiamin and vitamin d and low in carbohydrate, total dietary fiber and total sugars. 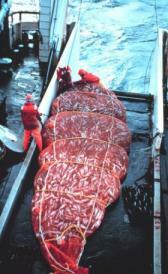 Raw orange roughy: Raw orange roughy is high selenium. On the other hand. is low in total lipid, carbohydrate and total dietary fiber. Raw sablefish: This food is low in carbohydrate, total dietary fiber and total sugars but Raw sablefish has selenium in high quantity. Smoked sablefish: This food has a low quantiti of carbohydrate, total dietary fiber and total sugars but has a high quantity of sodium, selenium and monounsaturated fatty acids. Raw chinook salmon: This food is low in carbohydrate, total dietary fiber and total sugars but Raw chinook salmon has protein, magnesium and selenium in high quantity. Raw chum salmon: This food has a low quantiti of carbohydrate, total dietary fiber and total sugars but has a high quantity of protein, selenium and niacin. Raw wild coho salmon: Raw wild coho salmon is high protein, selenium and niacin. On the other hand. is low in carbohydrate, total dietary fiber and total sugars. Raw pink salmon: This food has a low quantiti of carbohydrate, total dietary fiber and total sugars but has a high quantity of protein, selenium and niacin. Raw sockeye salmon: Raw sockeye salmon is high protein, selenium and niacin. On the other hand. is low in carbohydrate, total dietary fiber and total sugars. Raw scup: This food is low in carbohydrate, total dietary fiber and total sugars but Raw scup has selenium in high quantity. Raw american shad: This food is low in carbohydrate, total dietary fiber and total sugars but Raw american shad has selenium, niacin and vitamin d in high quantity. 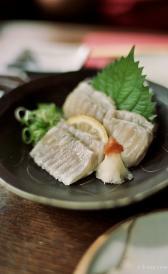 Raw sheepshead: Raw sheepshead is high protein, phosphorus and selenium. On the other hand. is low in carbohydrate, total dietary fiber and total sugars. Raw rainbow smelt: This food has a low quantiti of carbohydrate, total dietary fiber and total sugars but has a high quantity of selenium. Raw spot: This food has a low quantiti of carbohydrate, total dietary fiber and total sugars but has a high quantity of selenium and niacin. Raw white sucker: Raw white sucker is low in carbohydrate, total dietary fiber and total sugars. Surimi: Surimi is high selenium. On the other hand. is low in total lipid, total dietary fiber and total sugars. Raw swordfish: This food is low in carbohydrate, total dietary fiber and total sugars but Raw swordfish has protein, selenium and niacin in high quantity. Raw tilefish: High in selenium and low in total lipid, carbohydrate and total dietary fiber. Tuna salad: High in selenium and niacin and low in total dietary fiber, total sugars and calcium. Raw european turbot: Raw european turbot is high selenium. On the other hand. is low in carbohydrate, total dietary fiber and total sugars. Raw blue crab crustaceans: This food has a low quantiti of total lipid, carbohydrate and total dietary fiber but has a high quantity of zinc, copper and selenium. Raw blue mussel mollusks: High in manganese, selenium and vitamin b12 and low in total lipid, carbohydrate and total dietary fiber. Dry heat cusk: Dry heat cusk is high protein and selenium. On the other hand. is low in total lipid, carbohydrate and total dietary fiber. Dry heat ling: This food is low in total lipid, carbohydrate and total dietary fiber but Dry heat ling has protein and selenium in high quantity. 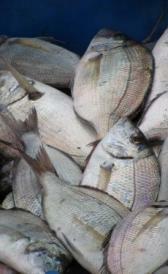 Dry heat scup: Dry heat scup is high protein and selenium. On the other hand. is low in carbohydrate, total dietary fiber and total sugars. Dry heat spot: High in protein, potassium and selenium and low in carbohydrate, total dietary fiber and total sugars. Raw tilapia: Raw tilapia is high protein and selenium. On the other hand. is low in total lipid, carbohydrate and total dietary fiber. Salted dried jellyfish: Salted dried jellyfish is high ash, sodium and selenium. On the other hand. is low in food energy, total lipid and carbohydrate. Raw frog legs: In food has a low quantity of total lipid, carbohydrate and total dietary fiber.